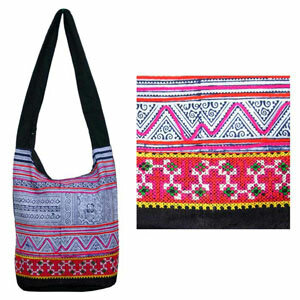 Hand-crafted of cotton, this shoulder bag by the artisans of northern Thailand shows colorful textiles from Thailand's ethnic minority peoples. 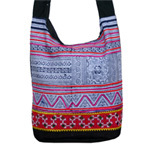 Fully lined, this versatile bag features two inner pockets. It closes with a zipper.